Discussions Magazine Music Blog: SPYDER TURNER/Is It Love You're After: The Whitfield Records Years reviewed! 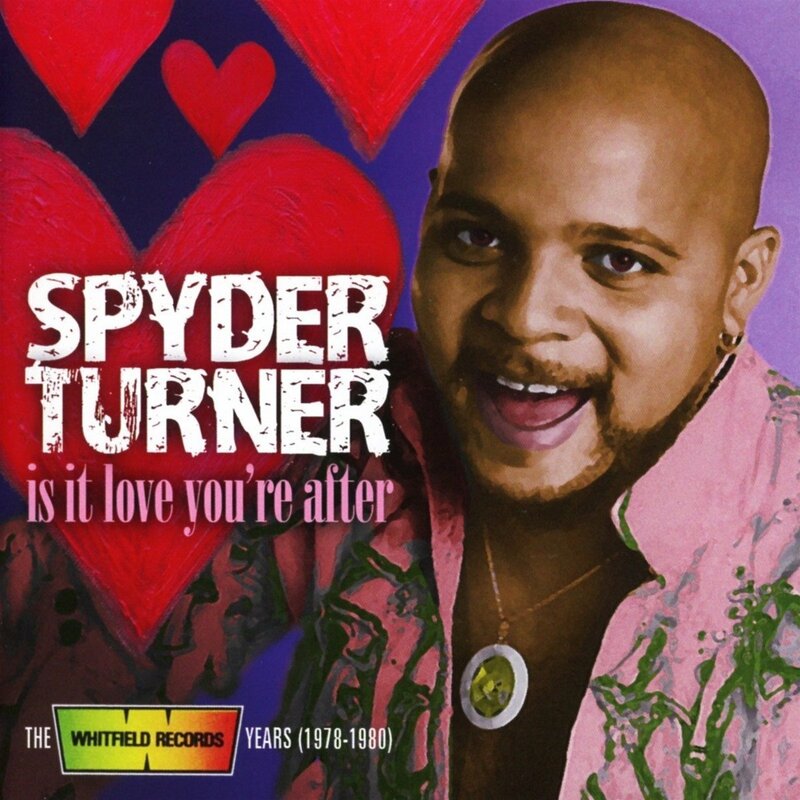 SPYDER TURNER/Is It Love You're After: The Whitfield Records Years reviewed! Spyder Turner may not be a household name but that doesn’t mean that he doesn’t deserve to be! Fame can be so damn fickle! Thankfully, he hasn’t been forgotten by his devoted fan base… and with the release of Big Break Records’ IS IT LOVE YOU'RE AFTER: THE WHITFIELD RECORDS YEARS 1978-1980, that audience is about to get even bigger! Spyder scored a 1966 hit with his version of Ben E. King’s classic “Stand By Me”, an homage to Soul’s great vocalists that featured Spyder impersonating King, Smokey Robinson, Billy Stewart and others. Following up that hit proved to be difficult and, although he remained active behind the scenes and on the live circuit, it would be another decade before Spyder went back into the studio and work on another album. IS IT LOVE YOU'RE AFTER: THE WHITFIELD RECORDS YEARS 1978-1980 contains both of the albums that Spyder recorded for producer/songwriter Norman Whitfield’s label, Whitfield Records: MUSIC WEB (1978) and ONLY LOVE (1980). A unique vocalist, Turner was able to tackle Funk, Disco, Smooth R&B and straight-up Soul with great ease. MUSIC WEB’s strength may have been the reason why it didn’t resonate with audiences: it is an album that tackles a variety of soulful styles and doesn’t stand in one place for too long. That may have worked for the Beatles in the ‘60s but it by the ‘70s, commercial radio preferred artists that played it safe. Still, the album is as solid as they come. More like a hits compilation spanning a few years, MUSIC WEB is the sound of an artist that is taking chances. On the other hand, ONLY LOVE is more focused and lushly produced. Straddling the line between Philly Soul and Disco, the album features a batch of songs that exceed the quality of the previous album. Turner seems more confident and comfortable on the album’s (mostly self-penned) tracks, most notable on the album’s title track. ONLY LOVE sounds like and artist finding his groove and embracing it. Sadly, Turner left Whitfield Records after the release of the album and that is where this collection ends. Spyder is still out there touring and knocking them dead night after night. This release includes liner notes that features an exclusive interview with the man himself… conducted by a music journalist with a name suspiciously similar to mine. Dang, I sure wish I had written them! Er… maybe I did!? You’ll have to get this release to hear the great tuneage AND read about the making of both albums straight from the Spyder’s mouth!